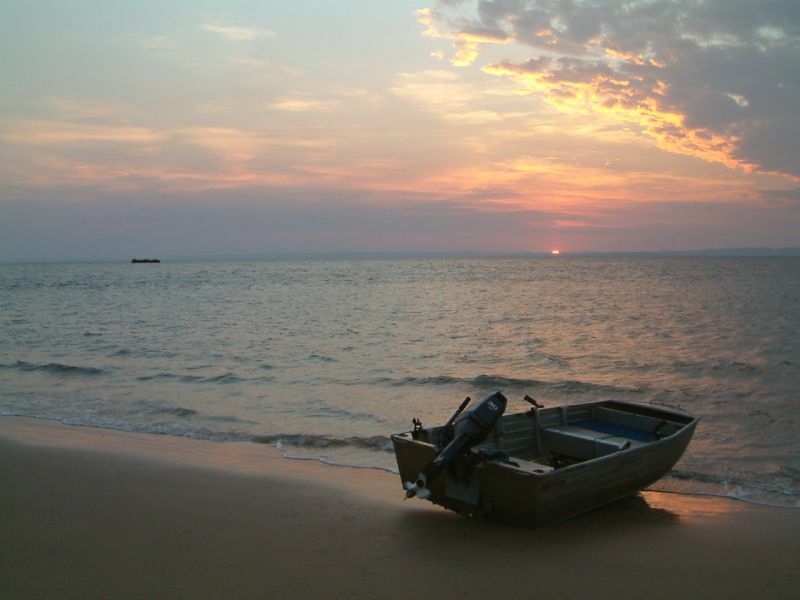 Cape Domett is a part of the isolated coastline North Of Kununurra. It is a popular nesting area for marine turtles. 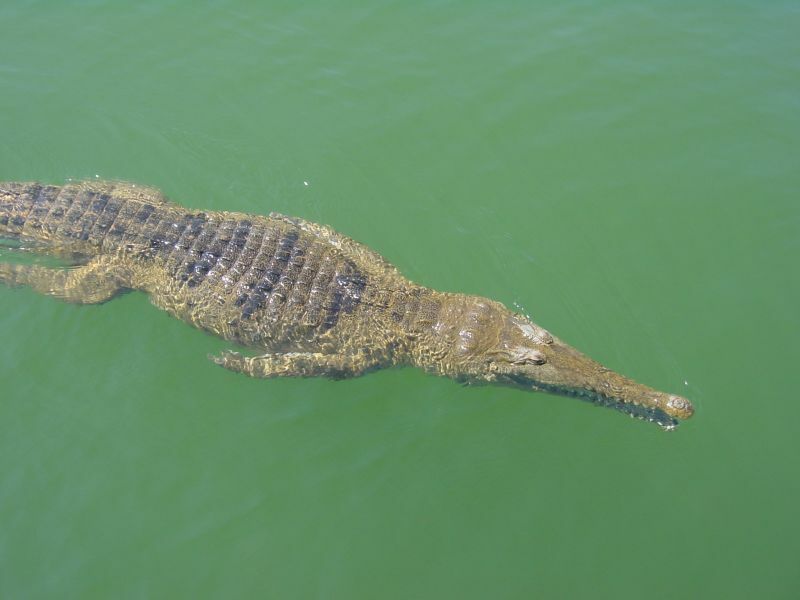 Northern beaches are normally very isolated, care must be taken if swimming as stingers and crocodiles can be present. 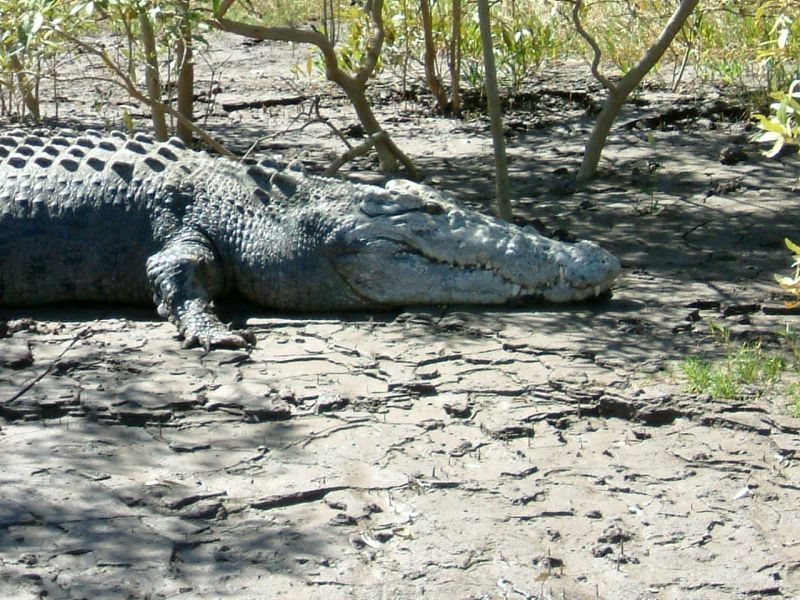 Tides up to seven metres inundate the coastal flats twice daily. 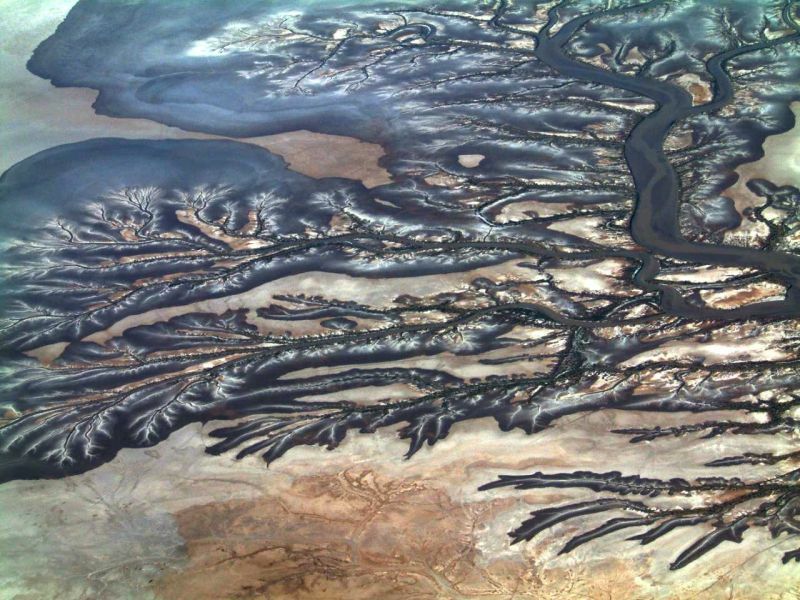 Large tides seasonally move silt into the river systems building up mud and sand banks. Wet season flooding moves the silt back out off shore. 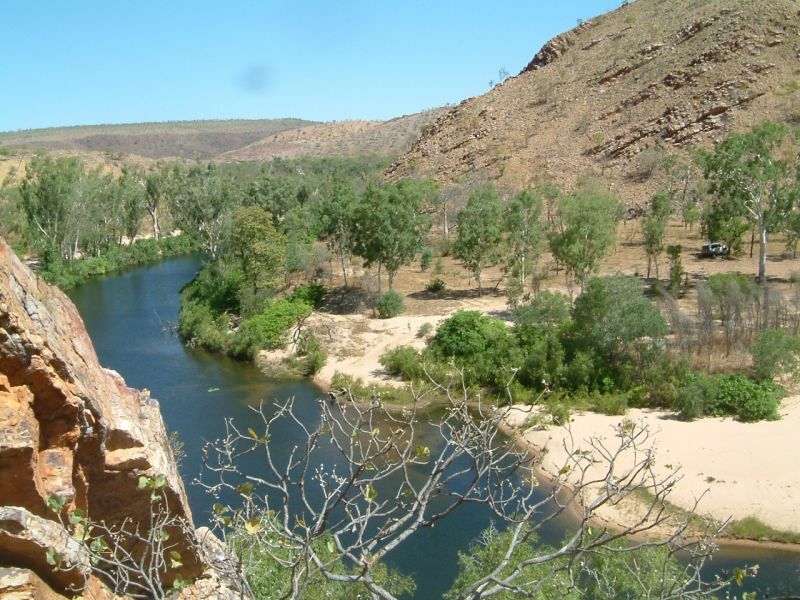 During the dry season the creeks and rivers retreat to a series of water holes providing habitat for much of the Kimberley's plants and animals. 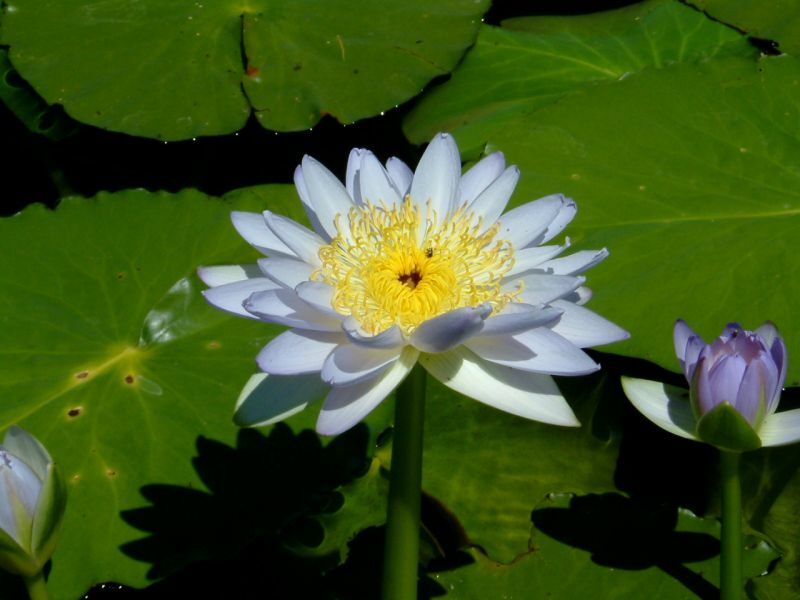 Water Lilies are common on Lake Kununurra. 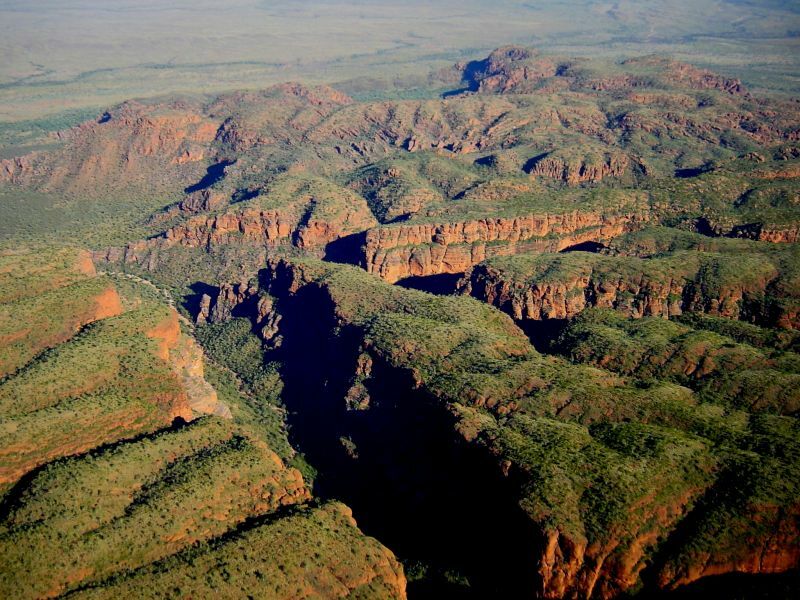 Rugged sandstone ranges of the upper Ord River catchment. 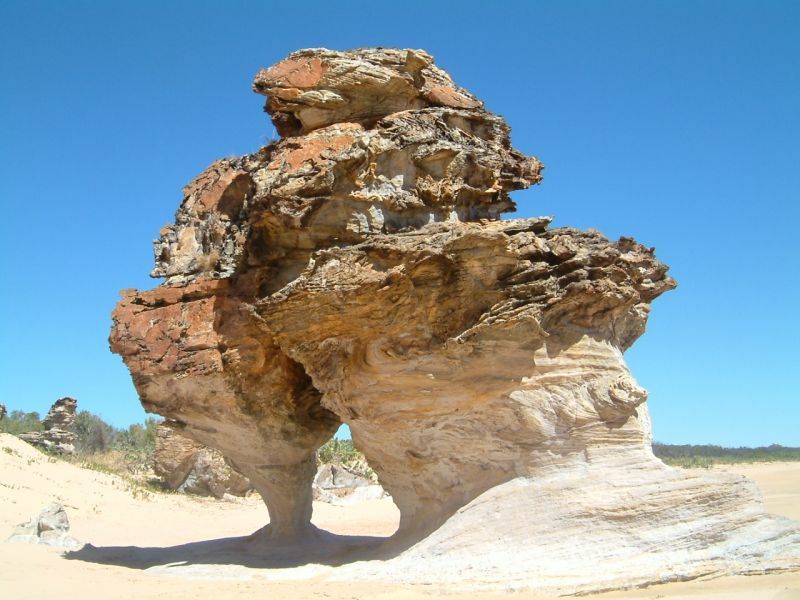 Wet season rains cut deep into the ancient rock of the Carr Boyd Ranges. 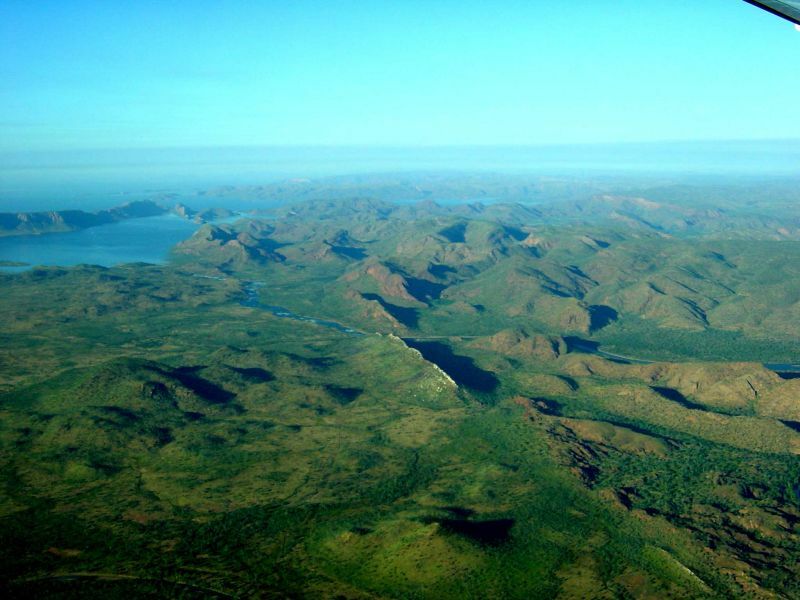 An inland sea and an important habitat for birds Lake Argyle in now registered as a Ramsar site. 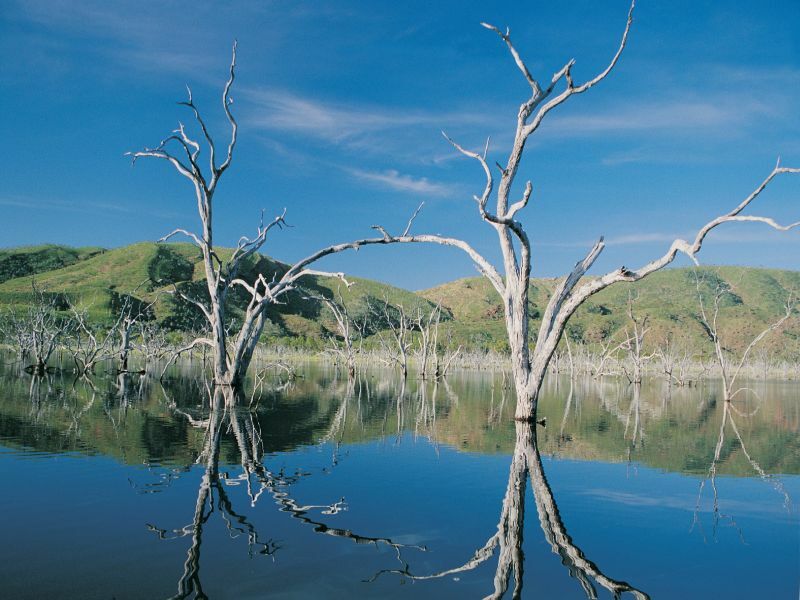 Flooded valleys and long dead trees are now a part of a Ramsar site, an important bird habitat. 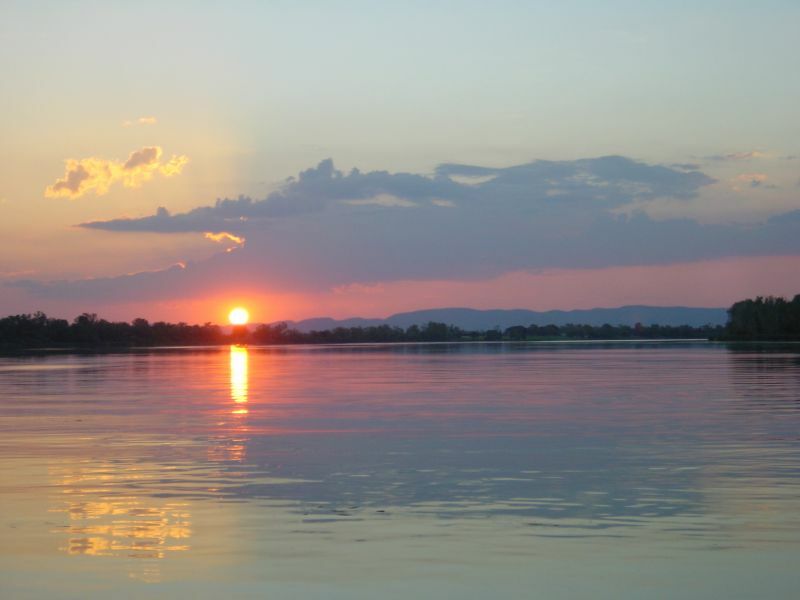 Also a Ramsar site Lake Kununurra directly supplys irrigation water to the ORIA. 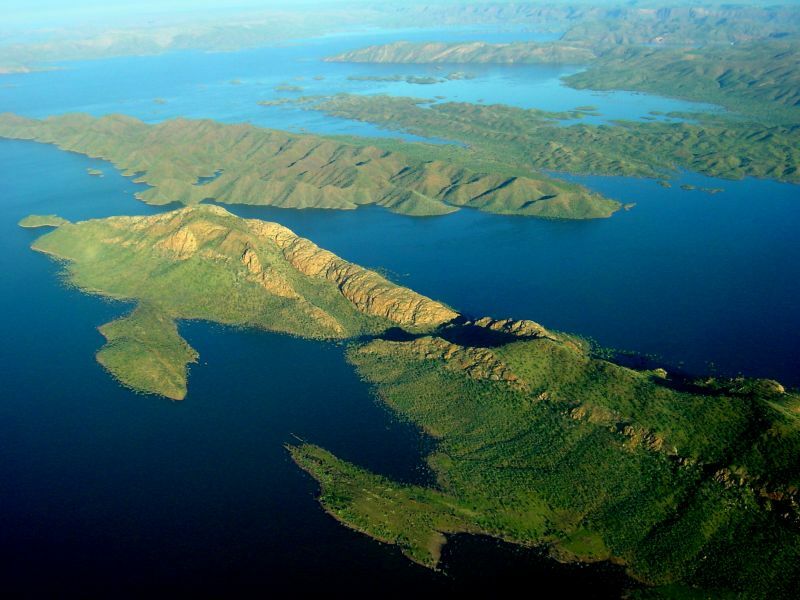 Lake Kununurra is an important tourist drawcard for Kununurra. 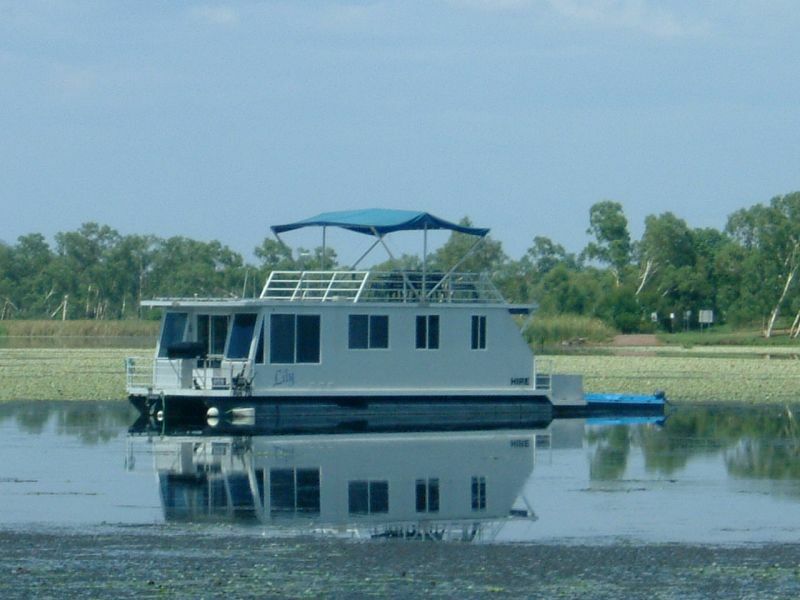 Tourists enjoy a weekend on Lake Kununurra from the comfort of a house boat. Spillway Creek running after record rains of the 2001 -2002 wet season. 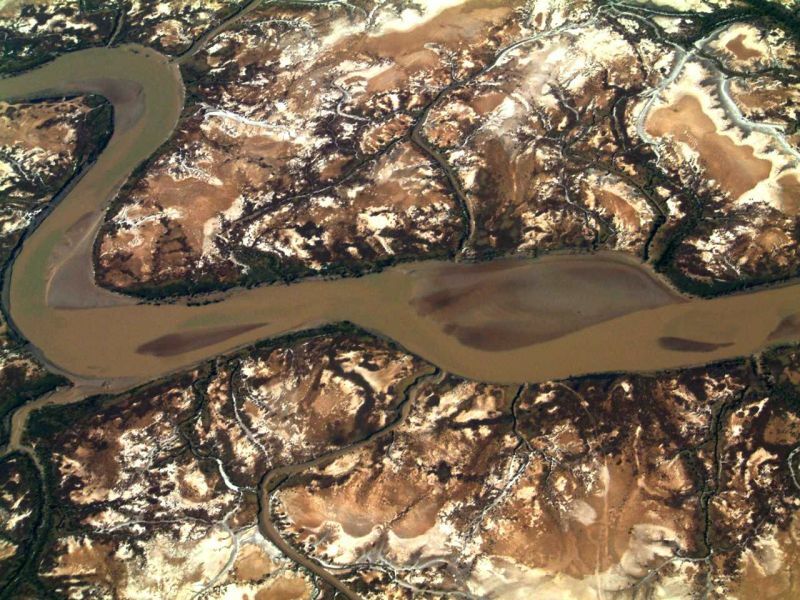 Ivanhoe Crossing submerged under the swollen Ord River during the 2001 floods. 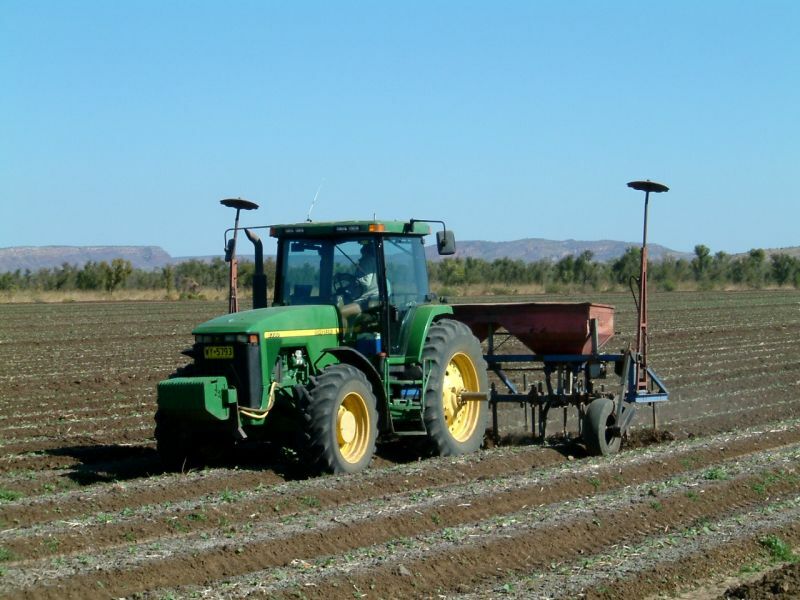 Ground is prepared for crops early in the dry season. Here the ground is being cultivated and fertilised in one pass. Cover crops to reduce erosion in the wet season and maintain soil health are now common in the ORIA. Here a farmer is cutting a cover crop for hay production. 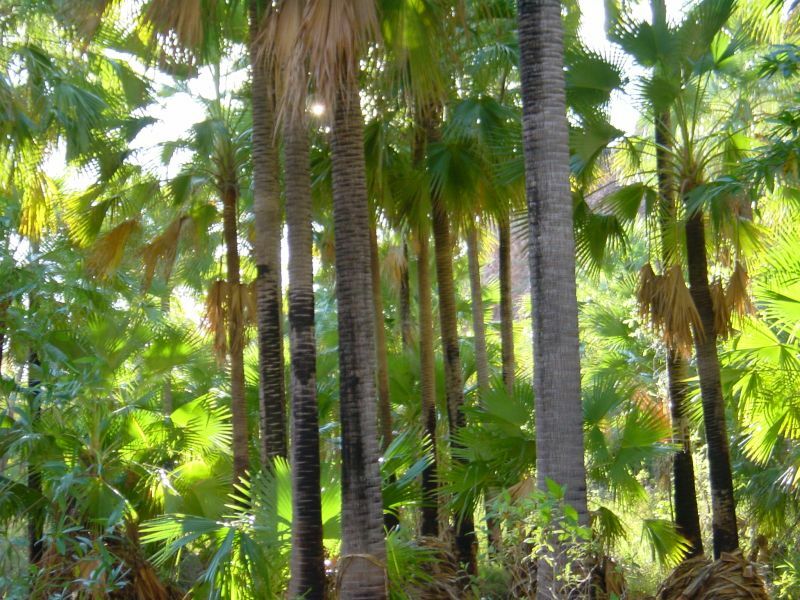 The ORIA produces a wide variety of fruit and grain crops. 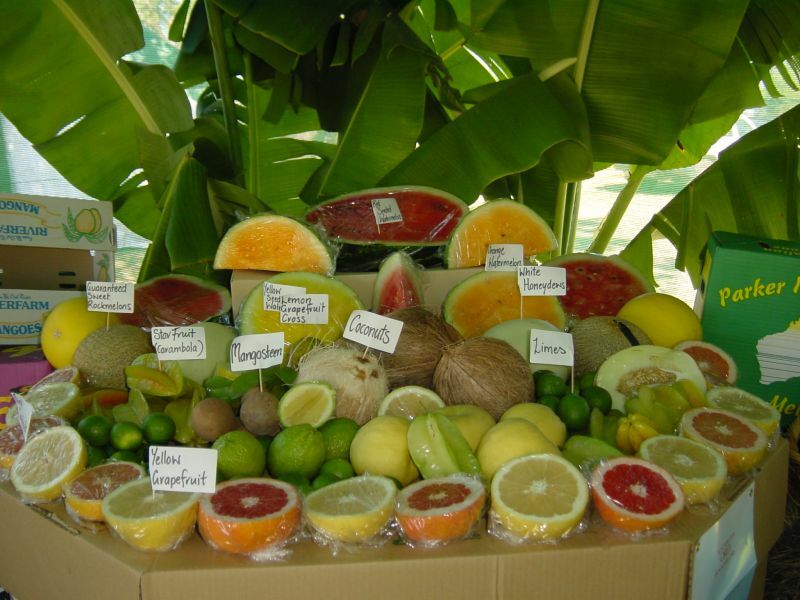 Rockmelons, honeydew, watermelons and pumpkin are grown in the ORIA throughout Australia's winter. 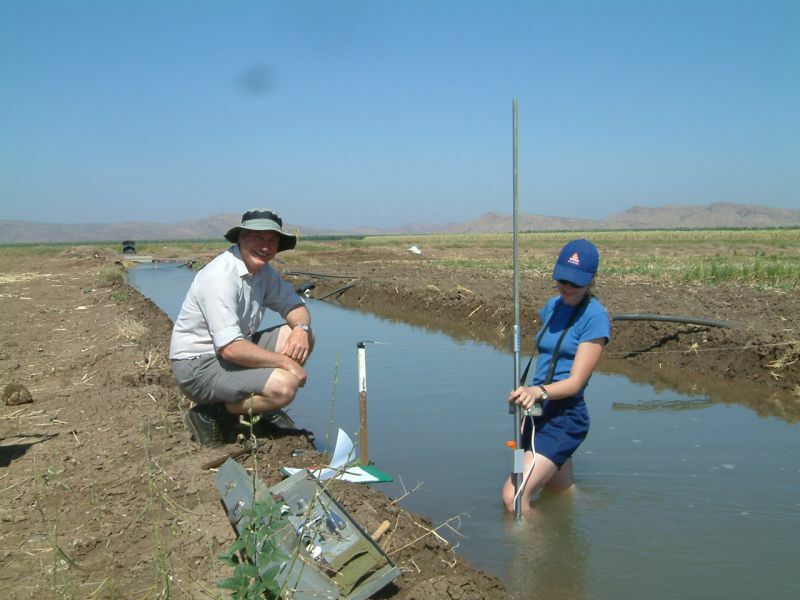 The Department of Agriculture has a research program looking at plant water use. 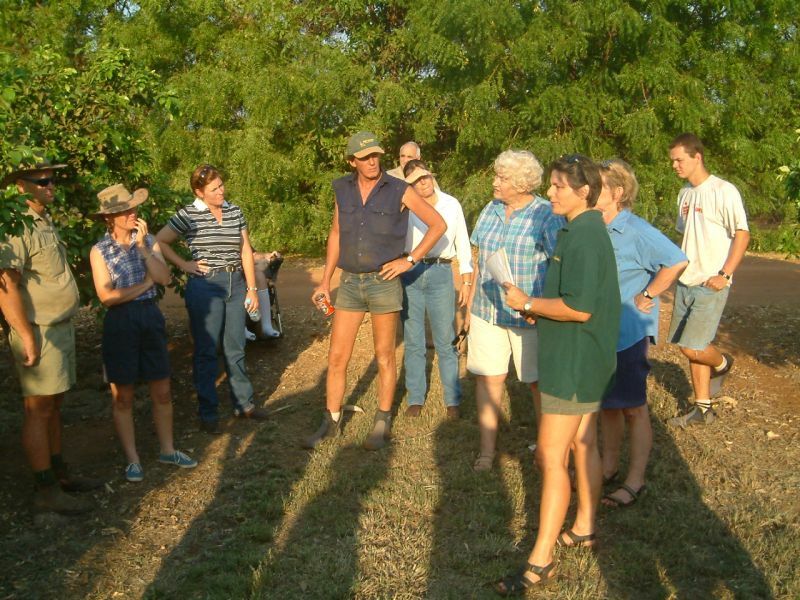 Farmers regularly meet on each others properties to discuss a range of topics. 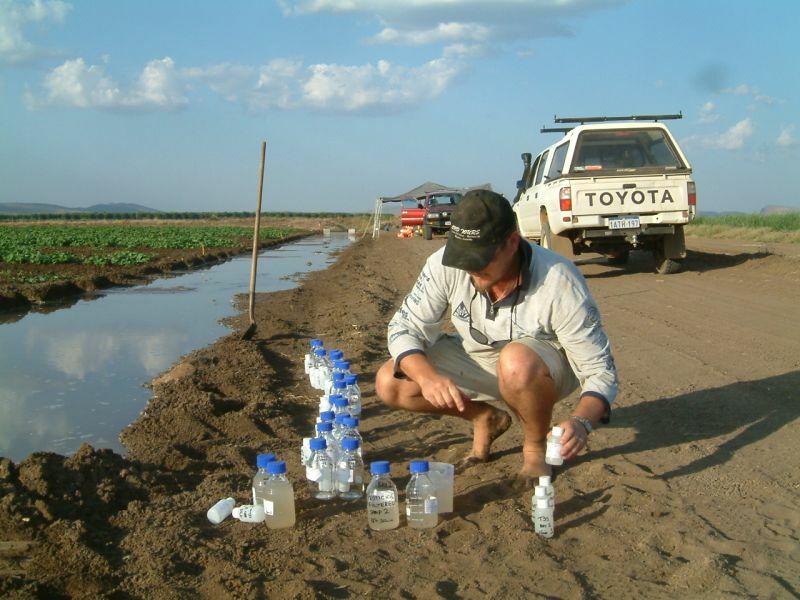 Measuring of water flow on and off farm to establish on farm efficiency levels. 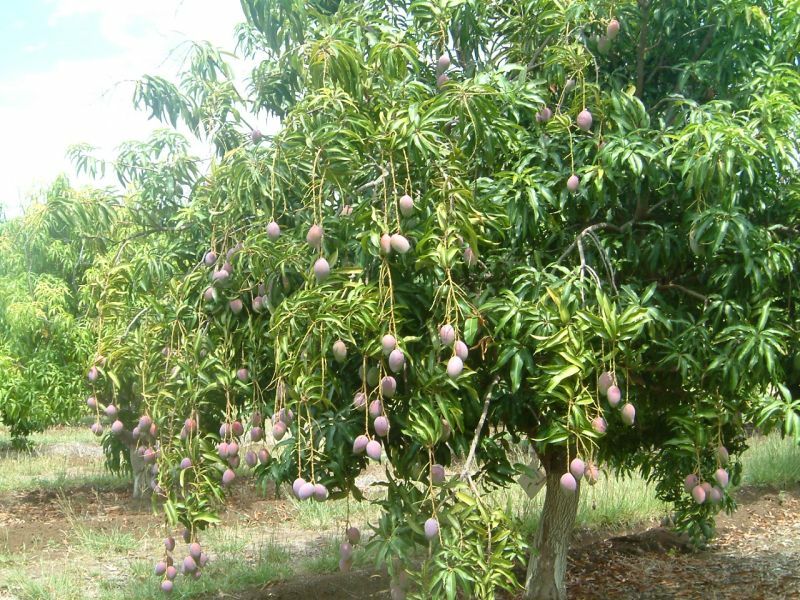 Mangoes are a popular crop in the ORIA. 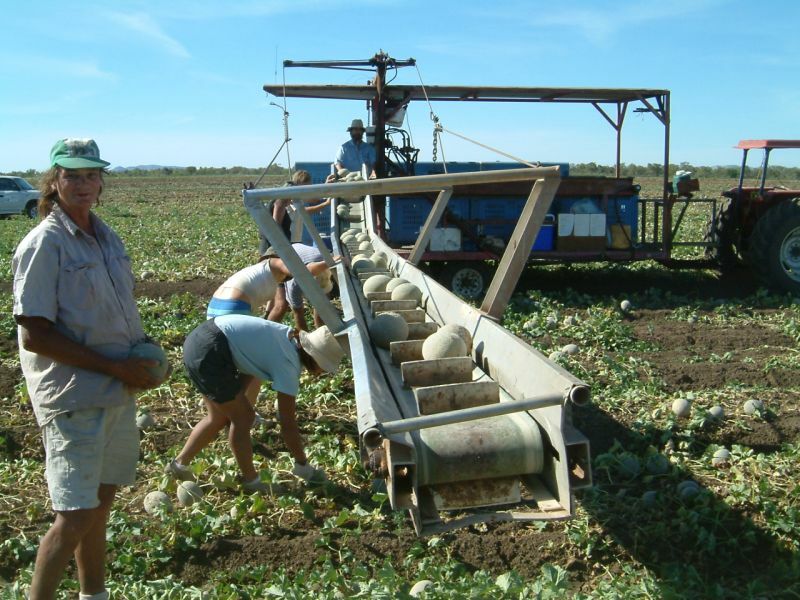 Harvest is generally from October through to November. Water sampling of trials to reduce pesticides and nutrients moving in water is an important part of research work being done in the ORIA. 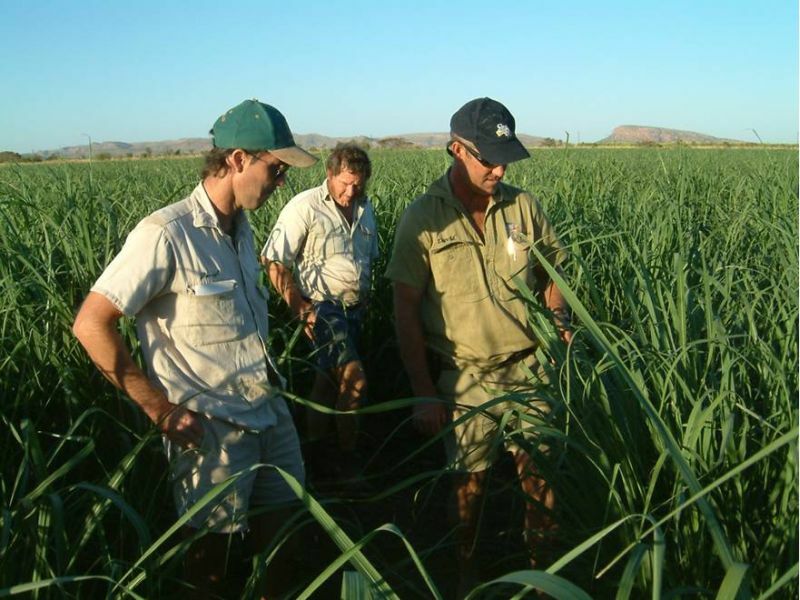 Farmers inspecting weed control in sugar cane trials to reduce pesticide use. 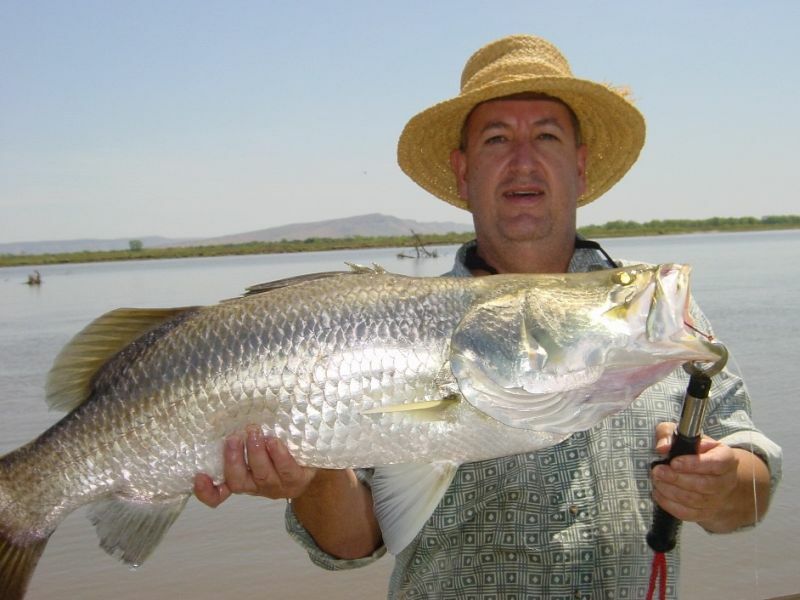 Barramundi are popular targets for anglers in Kununurra. 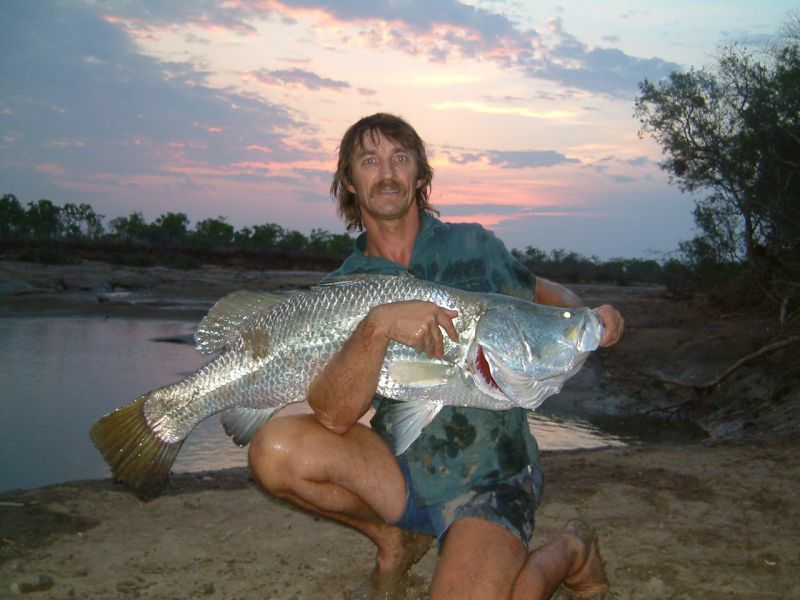 There is a local slot limit size for Ord River barramundi, fish below 55cm and above 80cm must be released. 'Salties' as they are known as will sun themselves on the river banks in the cooler months. 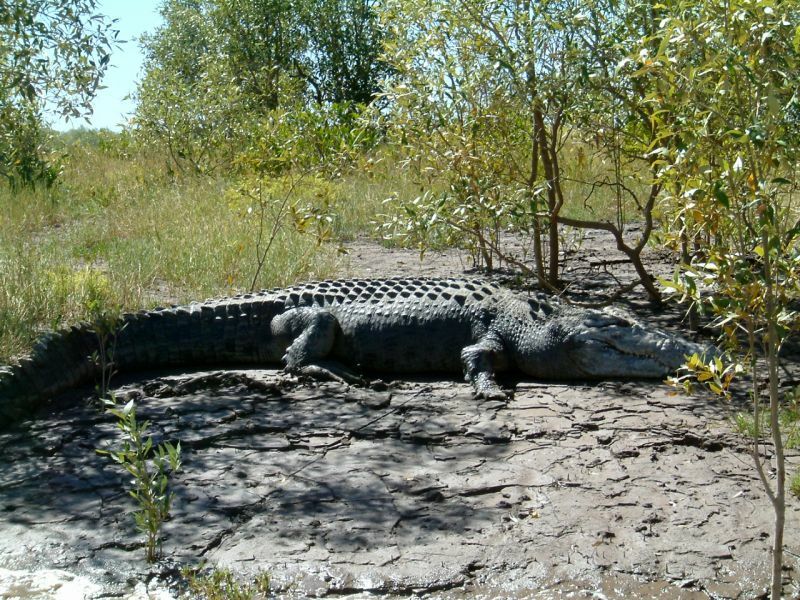 Although they can reach seven metres in length they rarely exceed the five metres length of this one. 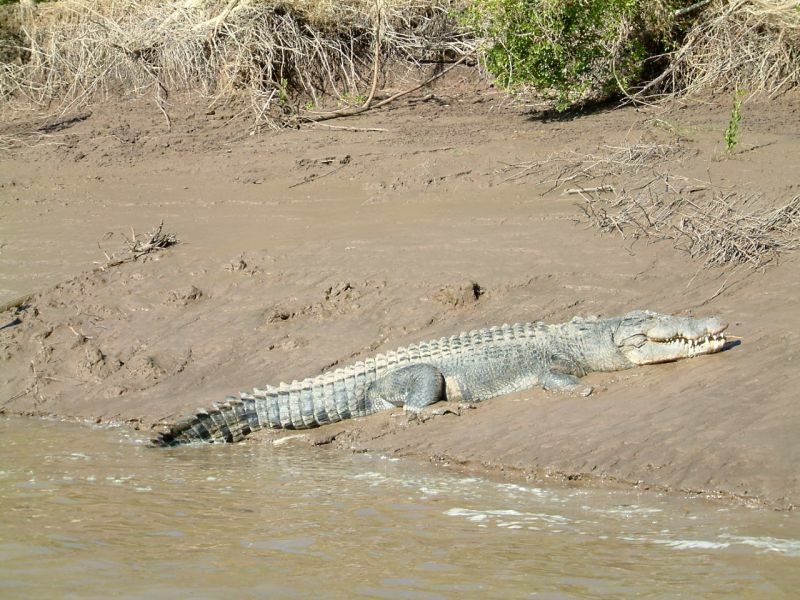 Freshwater crocodiles live in the waterholes of the upper catchment. 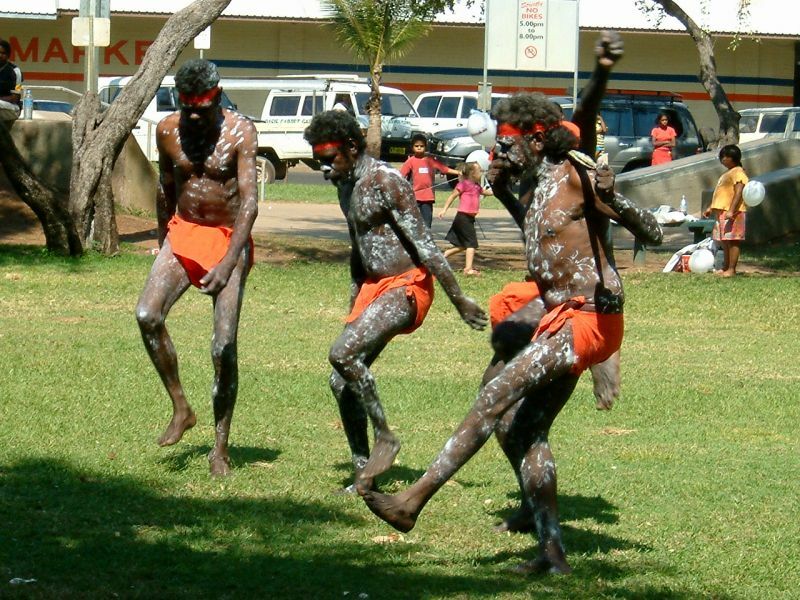 NAIDOC week is celebrated annually in Kununurra. 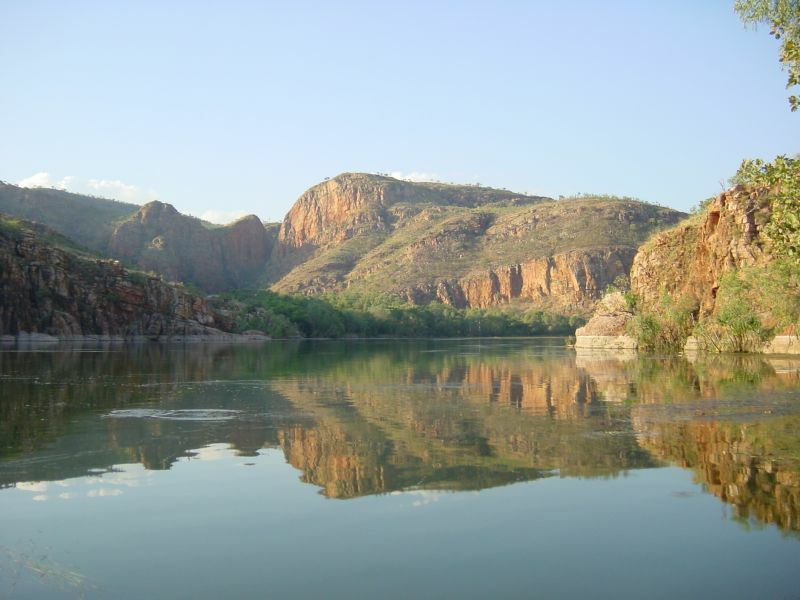 Kununurra locals make full use of Lake Kununurra, skiing is a popular past time. 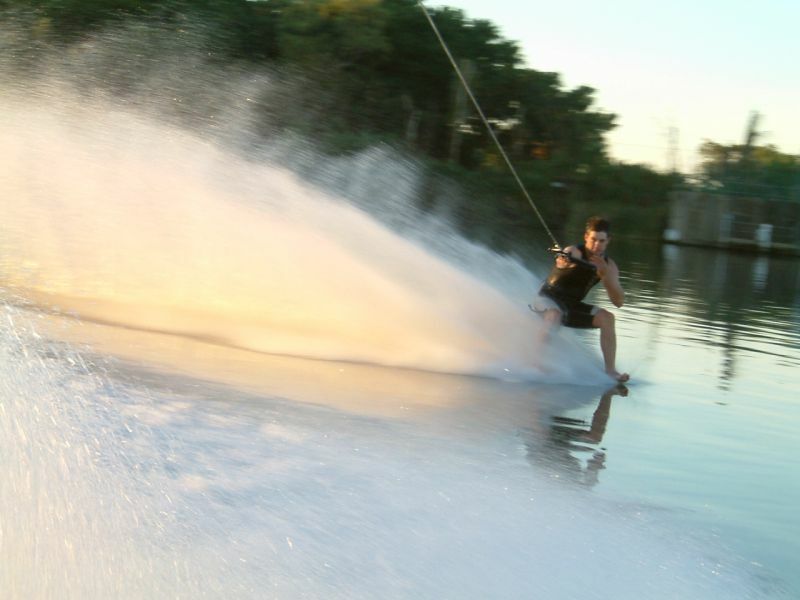 One of the many water sports enjoyed on the Lakes. 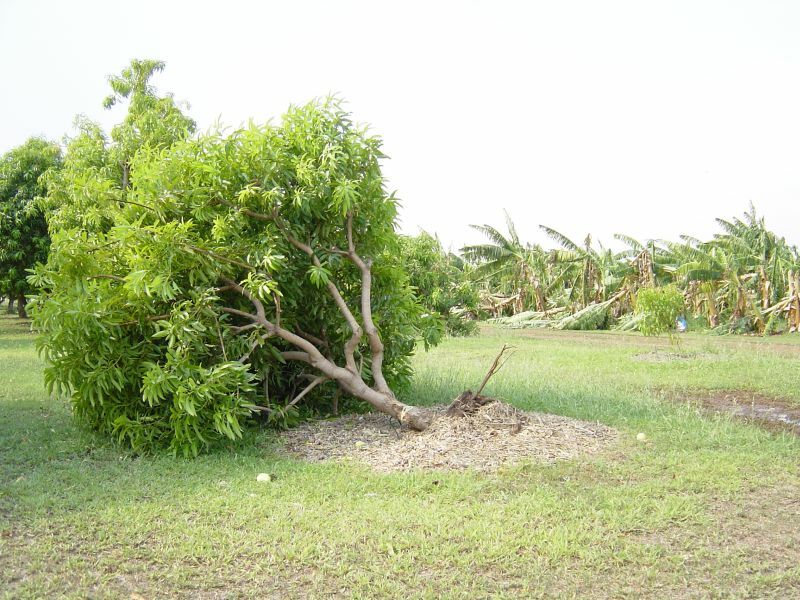 Storms of November can be very destructive to tree crops in the ORIA. 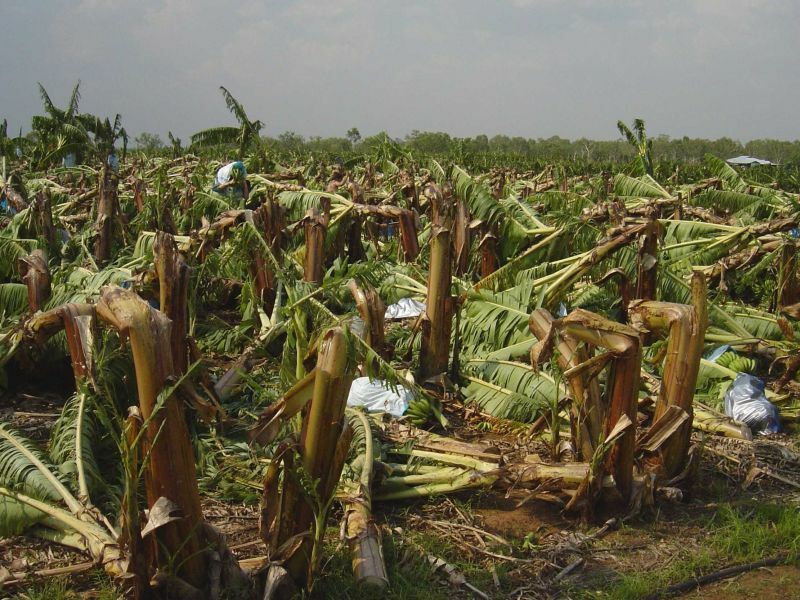 A banana plantation destroyed by storm winds. 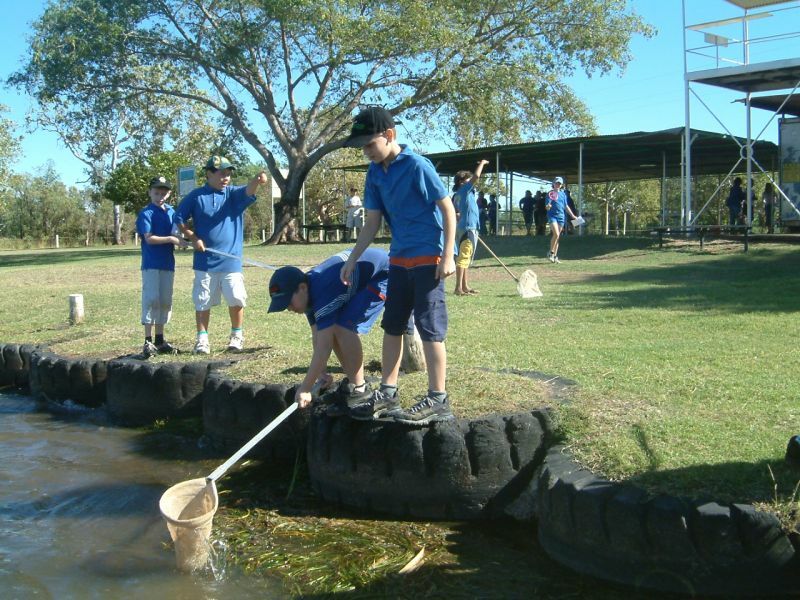 Kununurra District High School pupils sampling the waters of Lake Kununurra down at Ski Beach. 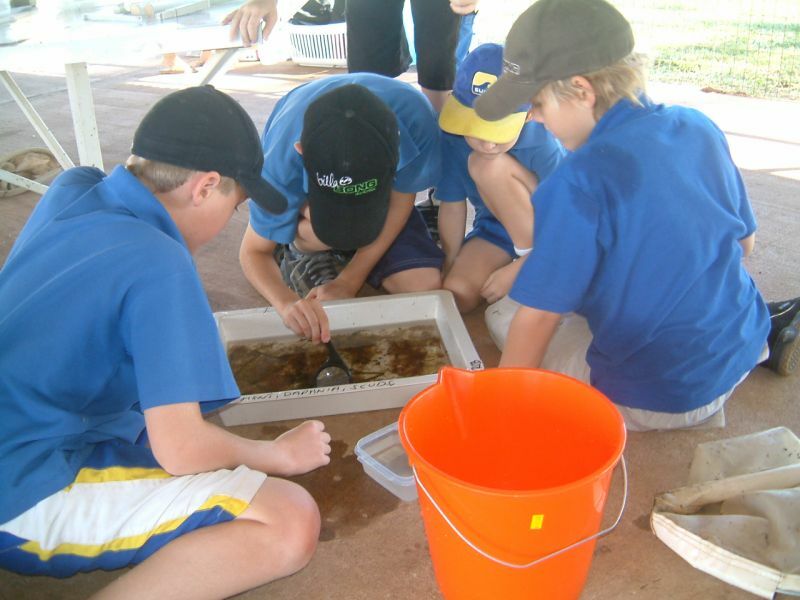 Kununurra District High School pupils looking for macro invertebrates species from Lake Kununurra.